Y Combinator unveiled one of its most impressive startup batches to date yesterday, featuring big ideas in medicine, finance, and marketplaces. After carefully watching the demos, speaking with founders in the class, and querying prestigious investors about their favorites, TechCrunch has compiled this list of the top 10 startups of the 47 that launched at Winter 2015 YC Demo Day 2. Campus Job – Helps college students find part-time jobs and internships. Students fill out a profile, see jobs they’re qualified for, and can quickly apply. 1300 companies are already paying Campus Job to connect them to its 100,000 students across 2200 colleges. Seed – An online bank for small businesses. Seed uses your data to pre-qualify you for loans rather than make you hunt for them. It has a revenue share in place with a banking partner that handles the traditional stuff. It recently released its banking API and will launch its software client soon. Why we picked it: Choosing a loan can be a life-changing decision that’s confusing to navigate. By acting as a guide and ally, Seed could save people tons of money on loans, and keep a healthy chunk of those savings. 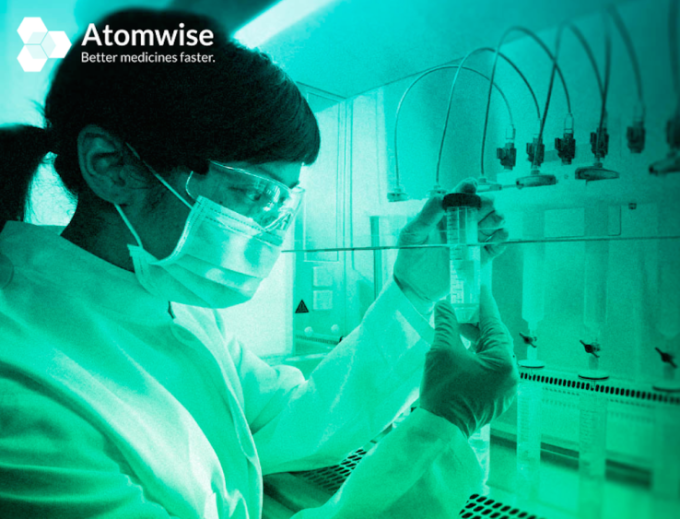 Atomwise – Software For Drug Discovery. Atomwise predicts potential drug cures with the use of supercomputers, artificial intelligence and a specialized algorithm that runs through millions of molecular structures, potentially reducing the cost and time involved in making new drug discoveries. Most drug research takes months or years and millions of dollars. Atomwise utilizes AI and machine learning to enable research that costs thousands of dollars and takes just days. Four months ago it launched a search to find existing medicines to fight Ebola. Two of the drugs predicted by Atomwise could potentially be used to cure Ebola. According to the startup they cost less than $1000 and 1 week to find. Why we picked it: Pharmaceutical companies spend billions trying to discover new drugs. Whether it charged a licensing fee for its technology or monetized its discoveries directly, Atomwise could make a fortune while making us healthier. Meadow – Medical Cannabis Delivery. In simple terms, you push a button and get marijuana. Meadow is experiencing 20% weekly growth with a 56% monthly retention rate. Like many of the on-demand medical marijuana delivery apps available, Meadow does not own or touch the marijuana. It builds the software for delivery, point of sale, and inventory management for dispensaries. This is a $2.7 billion market. It is poised to grow to over $11 billion by 2019. “Who knew marijuana would be so profitable,” co-founder David Hua told the packed YC Demo Day audience. Why we picked it: Meadow isn’t just another cookie-cutter weed delivery service. It ranked high with us because its building backend management and point-of-sale systems specifically for marijuana dispensaries. That and its professional, by-the-books approach could help cement Meadow into the future of cannabis. Notable Labs – Personalized Cancer Treatment. Drug combinations have been very successful in fighting disease, but there are too many possible combinations to test on any single patient. Notable Labs instead takes a sample of a patient’s tumor to their lab, runs drug combination experiments to find out what works, and gives a report back to the patient’s doctor. This exposes it to less FDA risk, and cuts out big pharma companies that sell patented drugs. Why we picked it: As life spans lengthen, cancer becomes a more common killer, yet testing treatments on live patients can be dangerous and expensive. Bringing technology to cancer treatment protocols could increase survival rates, and who wouldn’t pay to keep their family healthy? Akido Labs – A Standard API For Healthcare. Akido Labs wants to unlock health care data the way Clever unlocked educational data. It sells to hospital vendors that normally have to create endless custom integrations for each hospital’s backwards system. Akido sits between the two, standardizing the data coming out of the hospitals so its easy to build on for the vendors. Akido’s technology could make building medical software cheaper and easier, creating a platform that brings better health to everyone. Why we picked it: The costs from healthcare inefficiencies are downright disgusting. Patients end up footing the bill for the archaic data architecture of their hospitals. Not only could Akido earn money by inserting itself as a simplifying layer between hospitals and vendors, but it could become an entrenched platform for healthcare software development. DroneBase – On-Demand Drone Services. Customers push a button, and DroneBase dispatches a local drone pilot with their own drone to come capture imagery, video, maps, and analysis for any project, like construction or infrastructure management. This lets big commercial clients avoid buying drones, employing pilots, or paying suppliers. DroneBase’s service can significantly undercut satellites, planes, and helicopters, while getting companies better data faster. Why we picked it: Drones can do industrial jobs that are typically expensive, slow, and dangerous. The problem is that the drones themselves are complicated. DroneBase could democratize commercial drone usage, giving businesses the cost-saving benefits without the hassle. MashGin – Self-Checkout Via Machine Vision. MashGin’s brick-and-mortar checkout kiosk uses cameras to machine vision scan objects and instantly ring them up. You just put your items, like and apple or a can of soda, into the kiosk that looks like a MakerBot box with no maker inside. It recognizes what they look like without user input or bar codes, and you can swipe your card to pay and leave. MashGin’s two-person team from Facebook and Bell Labs could change any business that relies on human vision. And it’s just received a letter of intent for $50 million a month of services from a major retailer. Why we picked it: MashGin could replace legions of cashiers at a wide variety of brick-and-mortar retailers, but its potential goes far beyond groceries. An enormous number of jobs where people identify or quality check items via sight could evolve to instead use machine vision. Bonfire – Full-Service Request For Proposal Management – $3 trillion is spent each year through the Request For Proposal (RFP) system. When a business needs to buy something that costs over $50,000 they get RFP bids from potential supplies, and have to decide which to go with. That clumsy comparison process can take months. Bonfire manages all the RFPs for a business, determining which offer is best, and informing the buyer. Bonfire is currently selling its service for $5,000 a year to large companies and governments, but envisions an even bigger business in intelligence about what buyers and suppliers should do based on the data it gleams. Why we picked it: Anyone who deals with RFPs knows they’re a nightmare, yet it’s how an jaw-dropping amount of money moves around. By centralizing and standardizing how proposals are vetted, Bonfire could get smarter and smarter about decision-making with time. Eventually, it might be able to tell businesses which supplier to use before they’ve even asked for bids. EquipmentShare – Airbnb for Construction Equipment. Trillions of dollars of construction equipment sits idle all the time. 75% at any given time. EquipmentShare lets contractors rent out their idle equipment, and the startup keeps 20%. It can undercut traditional equipment renters by 30% where contractors spend an average of $900,000 a year. EquipmentShare could make it more affordable for smaller independent contractors to buy or rent the equipment they need, and help them create sustainable side businesses renting their cherry-pickers and cement-mixers. Why we picked it: Peer-to-peer rentals and the sharing economy have proven to be enormously lucrative in housing and transportation. Construction could be the next place where efficient allocation of peer-owned resources takes a huge chunk out of an old business. Transitmix – Software To Run Cities. Major cities still use paper to route bus systems. Transitmix provides city planners with software that helps route the transportation system. It has signed contracts with 20 major cities in the U.S. and Canada. The software works with any city in the world by using demographic data and cost analysis to help cities make better decisions. It has a 60 day sales cycle with a $1 million run rate. The company says it has a $4 billion opportunity to build the software to run cities. Why we picked it: Congestion in cities is only getting worse, yet local governments move too slowly and clumsily to adapt their transit systems for changing needs. For a price, Transitmix could equip cities with the efficient technology they need to reduce traffic and save tax payer dollars. 20n – Producing Valuable Chemicals From Genetically Modified Organisms. Pharmaceutical companies spend huge sums producing specialty chemicals. 20^n uses software to predict what genes can be used to genetically modify organisms so they naturally produce these valuable chemicals. It’s already invented a way to produce acetaminophen, the active ingredient in Tylenol. It’s also figured out a way to decrease one valuable chemicals price by 2 million times. 20^n now has over $1.7 million in contracts from DARPA and a massive cosmetics company, and is eyeing a wide array of chemicals for production. Why we picked it: 20n encapsulates the evolution of Y Combinator from more niche consumer products that might just be features to huge hard science ideas. We’ll have to wait and see if their chemical-producing organisms can capably produce valuable chemicals, but these more moonshot-style startups deserve just as much buzz as the next photo sharing app.